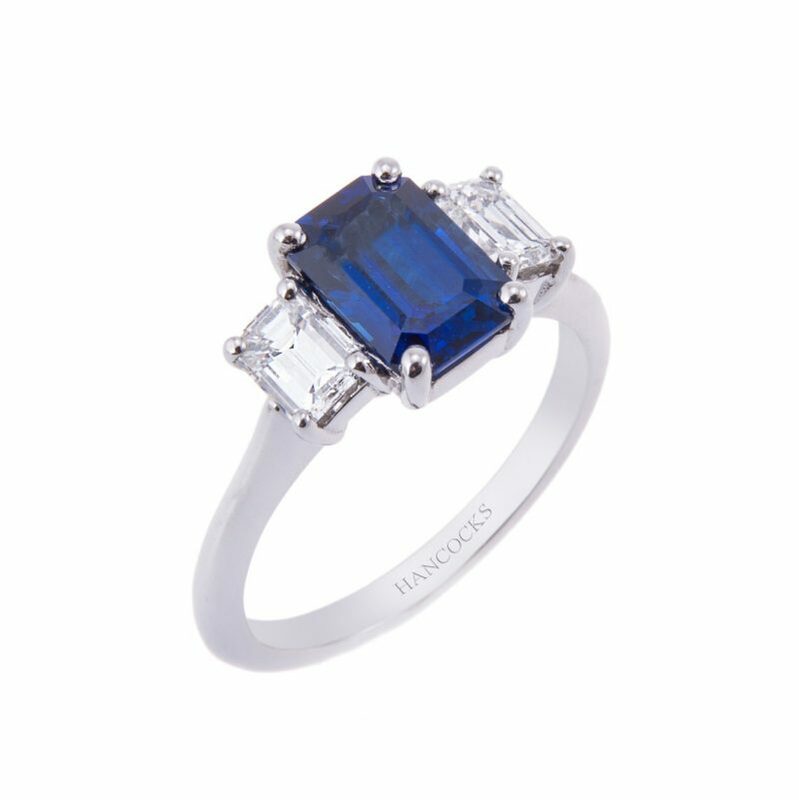 Our passion for an opulent vintage-style ring is displayed in this gorgeous sapphire and diamond three stone ring. 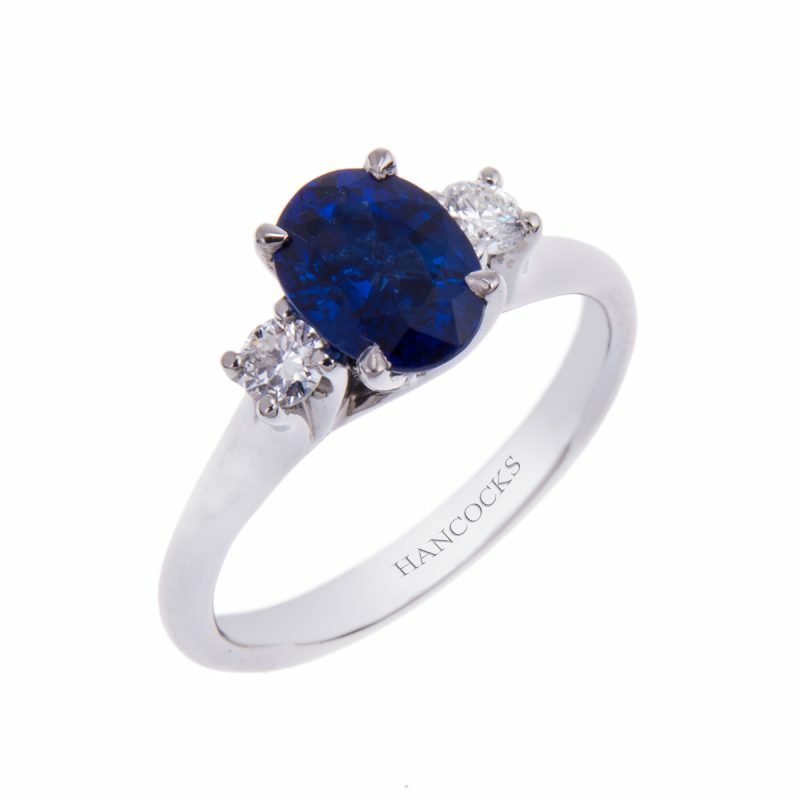 Featuring a stunning oval cut centrepiece gemstone accompanied by brilliant cut diamonds. 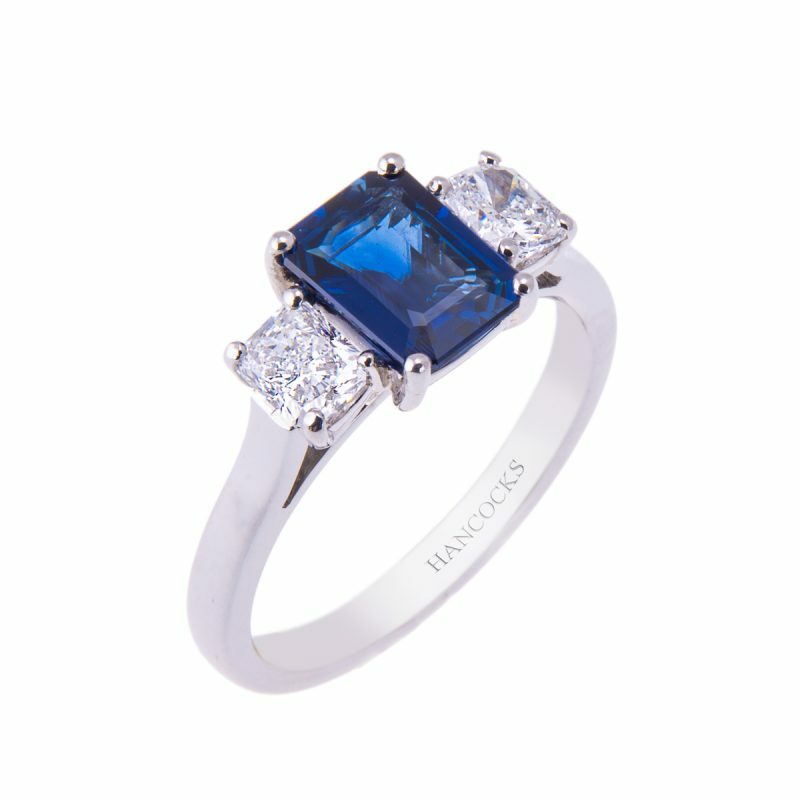 Mounted in a platinum handmade classic claw setting this delightful ring would make the special someone in your life very happy indeed. 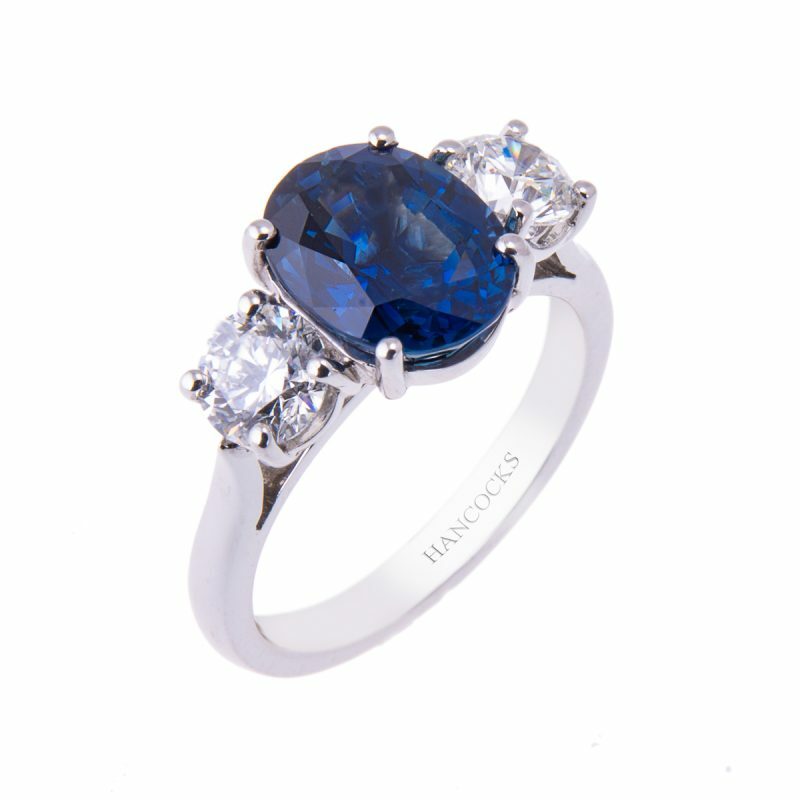 Sapphires are formed from a mineral called corundum, this very hard gemstone is second only to diamond, making sapphire a perfect gemstone choice as an engagement ring.